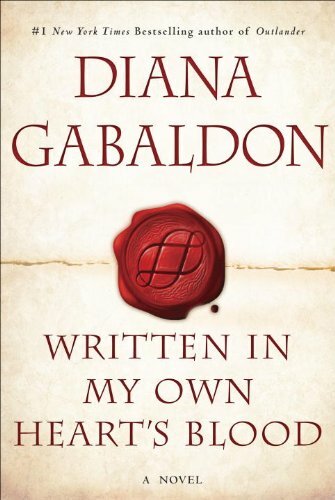 Outlandish Observations: #1 on the NY Times Bestseller List!! OUTLANDER premieres August 14 in Australia! OUTLANDER Premiere July 25 at SDCC! #1 on the NY Times Bestseller List!! MOHB is here at last!! "The Space Between" audio version is out! Canadian series premiere August 24th! .My editor just called with good news--#MOBY is (or will be, I should say) #1 on the NYT list next week! Thanks, guys--REALLY appreciate it! That's fantastic news, and well-deserved!! We hope it stays on top of the list for a good long time! For more information about WRITTEN IN MY OWN HEART'S BLOOD, see my FAQ page here. Congratulations, it's another celebration of your talent as a writer!